How to Prepare for a Food Safety Audit The Importance of Food Safety If there are some industries where safety is of utmost importance, there isn’t much debate that the food industry is one of them. Before the U.S. implemented food and safety regulations, a lot of health issues could be traced back to food sources. Today, thanks to various government regulatory agencies, those in the food supply chain must follow detailed and rigorous rules and regulations. Without these guidelines, the health of society’s inhabitants is at great risk. Food safety is a vital public health precaution, and each business in the food industry is subject to food audits. We’ll explain the different food governing agencies in the U.S. and show you how to prep for a food safety audit. Agencies and Compliant Rules If you are part of the food supply chain in the U.S., your organization is held accountable for following food safety regulations with the agencies listed below. Read on to discover more about each agency and the different ways they regulate the American food industry. HACCP Hazard Analysis Critical Control Point (HACCP) is a management system that addresses food safety by analyzing and controlling the different biological, chemical, and physical hazards from things like raw material production, manufacturing, distribution, and consumption of the final product. HACCP rules apply to the following categories: Dairy Grade A Voluntary HACCP: This is a science-backed system meant to ensure food safety hazards are controlled to prevent unsafe dairy products from reaching the consumer. This is an alternative program for dairy plants to use instead of the historically used numerical rating system to measure dairy plan compliance. Juice HACCP: This is a set of regulations that must be followed for the safe and sanitary production of juice products. Retail & Food Service HACCP: These are a specific set of principles for the retail and food managerial parts of the industry. They help those in the retail and food service industry to cooperate cohesively with regulators to meet the needs in providing safe food for the consumer. 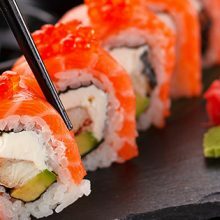 Seafood HACCP: Provides specific guidance for those in the seafood industry and addresses problems such as fishery product hazards, offers HACCP transition guidance, and general guidance for the industry in compliance with the FDA. USDA The U.S. Department of Agriculture (USDA) oversees the American agriculture industry by means of regulating the safety of meat, poultry, egg products, and others. The USDA’s laws and regulations include: Commodity standards and grades: This is a set way to measure the quality and value of different agricultural commodities, including meat, nuts, poultry, cotton, dairy, grain, and other agricultural products. These standards are set at both the domestic and international trade levels. Patents and licensing: These are offered to various entities, from private sector businesses to government entities and educational institutions to encourage research programs and stimulate economic development. Quality assurance: The USDA has set federal- and state-recognized quality standards for American food and grain products which include general grades and standards, grain inspection services, and container inspection standards. Regulations and directives: These are decided by the USDA to make sure agricultural processes and products comply with federal laws and policies. These include food regulations on: Food distribution Rural development Grain inspection, packing, and stockyards Animal and plant health Crop and livestock insurance Biotechnology Exports and more FDA The Food and Drug Administration (FDA) has a primary purpose of protecting public health by regulating the safety and security of America’s food supply, products, medicine, and medical devices. They regulate a wide range of food products excluding certain foods that fall under USDA regulation. The FDA-specific regulations include: Food guidance & regulation: The FDA provides detailed information instructing food organizations on regulatory food safety programs, manufacturing processes, industry systems, import/export activities, and gives links to important federal registration documents. Compliance & enforcement: The FDA keeps track of U.S. organizations and the food they produce as well as foreign-produced exported products. Groups that are found not to be compliant with regulations will be answerable to the FDA, who handles violations. The FDA provides resources for compliance, enforcement, analytical resources, and more to those in the food and drug industries. Consequences of Non-Compliance The consequences of noncompliance with food safety law, and not meeting all of the state and federal regulatory standards, are severe. Violating food industry compliance can result in: Unlimited fines. Change of your company’s legal status. Vulnerability to lawsuits. Audits conducted by government agencies. A complete shutdown of the business. The consequences for skirting regulations or violating laws in regard to the food industry are especially unforgiving because public health and safety are at risk when these regulations are not correctly followed or ignored. Not paying close attention to food safety and regulation can not only mean high fines (and legal costs) but could result in the end of your business. Food Safety Audits Food safety audits are imperative to your business because they help prove that you are properly following food safety guidelines and laws. Audits are a required standard in the food supply chain, so every organization by law must participate, but there are plenty of other reasons why a food safety audit is good for business. A food safety audit can: Help organizations improve their management system and reevaluate priorities. Give a better direction for achieving business goals. Take inventory of any incidents and identify problems that need to be fixed for better efficiency. Help businesses meet regulatory and legal requirements. Analyze supplier evaluations and customer feedback/requirements. Food Audit Preparation Checklist Food audits are proof that your business and its operations are consistently compliant with legal standards. Here we’ve provided a food audit checklist for you to ensure you meet food safety standards: Conduct an internal audit at least two months prior to the food audit, going over details such as: Ensuring all facilities are cleaned and tidy, including office and storage spaces. Items are in the correct places and clearly labeled. Ample space is made between storage items and the wall for pest control and cleaning purposes. Have an outside party conduct a “test” audit to identify any potential issues you might have missed. Hold a staff meeting in the weeks leading up to the food audit. Make sure each employee is aware of their individual responsibilities in relation to the audit. Employees must be aware of HACCP principles and application guidelines. Important/higher level staff must recognize key terms, i.e. the difference between verification and validation and “corrective action”. Conduct exercises and practices leading up to the audit to be sure everyone is comfortable in their roles and responsibilities. Help train staff on how to give good answers and avoid pitfalls. Fill out all necessary documentation before the auditor arrives. Have important documentation readily available to show the auditor when they arrive. Correct/improve any pre-identified weaknesses before the day of the audit. Make sure all senior staff have a clear schedule to attend both opening and closing meetings. Request the auditor’s credentials. Have a plan established for any non-conformances identified. Make sure to have a positive attitude! bcFood’s food safety feature makes this entire process much more streamlined and easy. With bcFood, our software keeps your business in line with items like lot management, quality assurance, and a lot more. Contact us for more information about how this solution can help you stay on track with food safety audits. Microsoft Releases the April 2019 Update for Dynamics 365 Business Central Microsoft has announced that the long-awaited April 2019 release for the Dynamics 365 Business Central ERP application is now available. The release contains a number of new productivity enhancements and performance improvements aimed at providing customer satisfaction. As part of the release, Microsoft has also published an overview video that highlights some of the key changes. Check it out for a quick summary of what’s in the April release: For a more detailed look at what’s changed, read the release notes. The Importance of Item Lot Management and Traceability What is lot control, and what is lot tracking? If you are not already aware, item lot management and lot tracking refer to a system that helps companies better manage and control their products before, during, and after they are in a storage facility (typically a warehouse). Today, every last item in a warehouse should be traceable so managers can keep a close eye on all of the inventory moving in and out. It is especially important to have the right software that can help you maintain the most up to date knowledge on all items. In this post, we’ll cover why lot management and traceability are important for your food supply chain business. You will also learn how the right software can help you streamline your food supply chain and create better relationships with your distributors and your customers. Continue reading to discover how your business can start implementing better lot management and tracking. 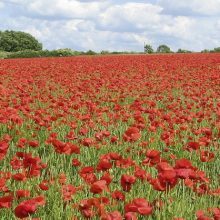 What is Lot Control/Management? A “lot” refers to a specific batch of an item that was received, stored and shipped from your warehouse along with the coordinating dates and times at each of those steps. Lot control is the general idea that every item that flows in and out of a warehouse can be traced back to its origins, and it is absolutely crucial in maintaining overall quality control and meeting safety standards. For example, if your company produces tomato sauce, with proper lot control, the idea is you should be able to trace each jar all the way back to the farm that produced the tomatoes for a specific batch of sauce. Every lot should have its own unique tracking number, and while this may seem like a simple concept, it can quickly get complex for a food industry company involved in a huge supply chain, especially if strict lot control is not implemented. In the food industry, without lot control, consumer health is at risk as well as a company’s finances and reputation in the event of a recall. If you aren’t already implementing lot control within your organization, you could be losing money, or worse, risking the health and safety of customers. What is Lot Tracking? Also referred to as “batch tracking”, lot tracking is when your organization can track every single batch of product from end-to-end. One lot is a specific group of goods that were produced together using the same materials, so the products in that “batch” will all have the same ingredients from the same sources and the same expiration date as they were produced together at the same time. With lot tracking, you can track a batch of a product across the entire food supply chain, starting with the manufacturer then to the supplier and all the way to the end customer. With lot tracking, you can: Monitor the items that are being moved in real time Find any missing items Track production Match replacement parts where they need to be replaced. See if there are surplus/extra items and where they came from. Identify accounting errors and fix them right away. Why are Lot Management & Tracking Important? If the items listed in the previous two sections weren’t enough to convince you, lot management and traceability are the best way to stay on top of the products in warehouses—saving your organization a lot of money, time, and likely stress, too. Lot management and traceability are absolutely vital in ensuring you are keeping customers safe, particularly in the food industry. Not having the proper lot management and tracking in place could potentially kill your business if standards are not consistently met, or in the event of a recall. When there is a recall, having strict lot management and traceability processes already in place allow you to pinpoint right away which items might have gone bad and control any further shipments from going out. Without a good lot management system, your business would be completely lost in being able to find the origin of the problem and would take more time in being able to stop the “bad” product from being distributed—potentially endangering lives in the process. Let’s examine further the role lot control plays in specific crises: Recalls: Recalls are the last thing any food business wishes to have happen, but they are unfortunately a harsh reality those in the food supply chain business may face. According to a study by the Food Marketing Institute and the Grocery Manufacturers Association (GMA), recalls can cost businesses up to $10 million, and that’s just in direct costs. The same study also found that 58% of businesses were impacted by food recalls. Having a reliable warehouse management system in place will report information right away, helping you quickly identify if a recall needs to be made, or even preventing the recall from happening in the first place. In another study by The Relational Capital Group, 87% of those surveyed reported they were “more likely to purchase and remain loyal to a company or brand that handles a product recall honorably and responsibly, even though they clearly made mistakes that led to a safety or quality problem.” Lot management and tracking is the way to handle recalls efficiently and maintain customer trust. Expiration Dates: Food supply chain management and tracking systems help companies know the expiration date of every single lot to help ensure that distribution happens within a reasonable time frame. Tracking expiration dates also prevents products from going out that may turn bad soon or that are already expired. While it might be hard to eliminate that product, the cost is far less than having to implement a recall. Product differentiation: Let’s go back to our example of your company being a tomato sauce seller. Since your organization is likely to use more than one distributor for tomatoes, your lot management and tracking system helps you know which products do not mix with others to ensure product consistency for each batch, such as the batch color. There are important legalities surrounding lot management and traceability. If your company does not have any of these processes in place, it could face large fines or worse if there is a health outbreak due to lack of control within the product creation and distribution cycle. With the right software, managers should be able to: See auto-generated reports from their lot tracking system, allowing them to track the movement of products Create specific lot reports Facilitate recalls when necessary Follow how existing processes are affecting the company’s bottom line If we go back to the “horse meat” scandal in 2013, it became known that as much as 100% of the beef products in parts of Europe being purchased by customers from certain distributors actually contained horse meat. Food manufacturers and the supermarkets were largely held responsible, and many with an efficient lot management and tracking software were able to identify which products contained the horse meat and recall everything very quickly. 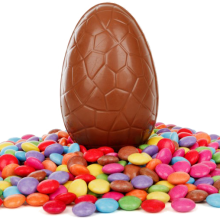 bcFood ERP Your warehouse management system should have robust functionality. Our ERP software can provide an end-to-end system of traceability and centralize your food supply lifecycle into one coherent system. At bcFood, our ERP offers: Automation: you can have lot numbers automatically assigned that go with every purchase and/or distribution of products. Multiple lot values: keep track of your numbering system by assigning separate vendor, customer, or other externally-assigned identification numbers to lot records. Lot inheritance: change over information from an old lot to a new lot record such as identification information, country of origin assignments, and quality testing data so lots are followed through the entire supply chain. Our inventory management system lets you: Assign batch numbers, expiration dates, and serial numbers Track purchase orders and sales of all lots Minimize accounting errors and enter information quickly and easily, which is applicable to products across the organization Administer fast and efficient product recalls To implement better, more efficient item lot management and lot tracking into your organization, contact us today to talk about the best solution for you. We hope this article has been helpful in explaining the importance of effective lot management and traceability. What are the Benefits of a Data Warehouse in the Food Supply Chain? What are the Benefits of a Data Warehouse in the Food Supply Chain? If your business is part of the food supply chain, then having a solution that effectively manages your data and stores it all in one place with your ERP system is very important. We’re here to tell you how data warehouse software—systems used for reporting and data analysis—should be a key part of your business intelligence and can bring numerous benefits to how your business operates on a day-to-day basis as well as your bottom line. Read on to learn more about how the right technology can elevate your food company and increase its overall success. Food Supply Chain Management Then vs. Now Like many industries, the food supply chain used to be managed much differently than it is today. Businesses large and small often had departments of their business siloed off, so there was little visibility from one department into the next, nor was there a central location that housed all of the company’s data. This type of system slows down productivity, causes mismatched data across departments, and increases the chances of error in the food supply chain. What’s more, since legacy software systems don’t offer much in the way of automation, managers were left to spend countless hours manually entering in and validating data. Given these disadvantages, it’s safe to say that this type of outdated solution costs businesses both time and money. The good news is, there are modern options available that can eliminate all of these issues, giving stakeholders more insight into business operations, allowing them to better manage the food supply chain and make more informed decisions. We call this solution the “single source of truth,” which you can read more about here. Your business needs a solution that is able to meet all of your specific food supply needs. With the right ERP and data warehouse software, you can streamline the data collection process, improve your daily operations, and create more opportunities for your business to grow. Choosing the Right Data Warehouse Software When choosing an ERP data warehouse, it’s better to choose a solution that’s modern and cloud-based rather than a legacy software because: Updating hardware and software requires ongoing investments of time and money. Due to the rapidly changing nature of technology, a software that’s state-of-the-art today might be obsolete in a year. Different levels of access may be required, making it difficult to have good visibility across the organization. Because there are no automatic updates, data can quickly become outdated and inaccurate. Data could be misconfigured and break any visualizations. While taking on a newer technology that does multiple things at once may seem daunting at first, it is far better than going for traditional software. To meet customer expectations and to be competitive with other businesses you need a solution that will give you a comprehensive view of your customers and operations. In the long run, you will save a lot of time, money, and frustration by going with a modern solution over a legacy technology. 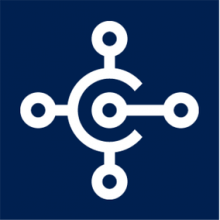 Introducing Microsoft Business Central Microsoft Dynamics 365 Business Central is a great option to use for your ERP data warehouse software. It offers a flexible solution complete with several add-on options and it has multiple capabilities that can be tailored to fit any business. Some of the most notable features are: Out-of-the-box with a strong warehouse control system. A system architecture that’s able to handle the most complex of requirements. User-friendly and accessible, making it less intimidating to learn how to use. It’s both flexible and scalable, and it’s future-proof since Beck Consulting can create new functions to meet your evolving business needs. Eliminates the need to have several technologies, as it offers everything from financial and project management to supply chain automation to customer service features to operations optimization and more. No matter what part of the food supply chain your food business caters to (pun intended) it’s important to ensure that you have an all-in-one solution that will keep your data updated quickly and accurately. This leads to smarter, more informed decisions being made. As our ERP software is built on Microsoft Business 365 Central, you will have the most widely-used and most successful ERP in existence, with the added benefit of features specific to the food industry with bcFood. Working Toward the Final Output with Power BI (Business Intelligence) Business Intelligence (BI) comprises the strategies and technologies used by companies for data analysis. BI technologies provide historical, current, and predictive views of business operations. We see a lot of cases where the clients get caught up in the visualization aspect of their business intelligence, but we encourage them to remember that visualization and dashboards only make up about 10% of the whole picture. Much of the work that goes into having all of the data of your business streamlined into one, robust solution happens before visualization can begin. We acknowledge that adopting a new technology into your business and consolidating all of the silos that existed previously will come with growing pains. While there is certainly a learning curve, if you’re able to stick with the process, your business will reap a lot of benefits that come with having one place to keep all of your business data. Your customers only care about the final output, and with the right solution, you can be safe in knowing that they will get the best possible quality service and product with Microsoft Dynamics 365 Business Central combined with bcFood. If you’re in the food industry and you’re currently unhappy with the state your business is in, creating a single source of truth with the right ERP data warehouse can completely transform your business into a much more successful one. At Beck Consulting, we know the food industry, and we’ve been using technology and software to resolve the challenges of growth and ever-changing regulations to food industry clients for over 30 years. Built on Microsoft 365 Business Central, our ERP system is made to cater to the very specific needs of food companies. You can see what we offer on functionality here, and contact us to get started with an ERP solution fit for your food business. The list of food segments we represent has grown to include prepared foods, cheese manufacturers, wine merchants, meal delivery services, bean processors, and more. What is “A Single Source of Truth” in Data Management? A single source of truth (often abbreviated SSOT) means that your company’s data is stored in one secure, primary location that is constantly updated with the latest information. The result is that everyone in the organization will be using the same data when making business decisions. Here’s an example of how a single source of truth could hurt or help you: Let’s say that a nationwide food distributor does not have a unified data source, and due to an oversight, some of their data is set to UTC, and some is set to PST. The problem is, there’s a several-hour difference between universal time and Pacific time, which quickly spells disaster for this distributor. All because the company’s employees had no idea that they were scheduling deliveries and pickups in two different time zones that were utterly unsynchronized. On the other hand, if this company’s ERP system had a single source of truth with everything in UTC and the ability for each user interface to translate to local time, each stakeholder could be on the same page, using identical data to make business decisions both large and small. Their systems would never be out of sync. Dates and times would remain accurate regardless of where each user is located. How Poor Data Management Harms Your Business If you don’t have a current, single source of truth data management system, problems could ensue. Here are some of the ways that a lack of data integrity could negatively impact your business no matter where you are in the food supply chain. It can double the labor and increase costs Poor-quality data and erroneous decisions will undoubtedly cost your business. If different employees are using two different data sets to make a related decision, you’ll have a lack of continuity that could lead to doubling up on labor and the associated costs of carrying out each task. Deadlines will be impacted Poor data quality also slows down your employees, which can hurt critical deadlines. If your employees are constantly checking, vetting, and validating data before they can use it to make strategic decisions, then they’re wasting a lot of time that could be used on other tasks. You should have a data management system in place to ensure accurate data in the first place. 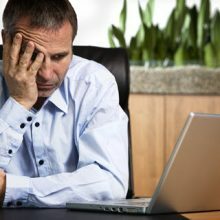 It adds stress to internal stakeholders When you aren’t secure in the knowledge that your data is accurate, you’ll be stressed knowing that you’re missing opportunities, negatively impacting your business’s reputation, missing deadlines, and more. You may be left guessing where it all went wrong Sometimes, disaster strikes. And, the best way to ensure the same thing doesn’t happen again? Finding the root of the problem and preventing it. However, if you don’t have the necessary data, this may be impossible. You will have to guess at what happened, and this doesn’t necessarily help you prevent problems in the future. Reducing Errors by Having a Single Source of Truth Data Management bcFood provides solutions that help you increase your data integrity, eliminate errors, and manage your business better. We work mainly with mid-sized businesses in the food manufacturing, distribution, and processing industry. With over 30 years of experience building ERP solutions for the food industry, we have the skills and experience you need. Our solutions are built on top of the Microsoft Dynamics 365 Business Central (previously known as Dynamics NAV); which is the most widely-used and successful ERP solution in existence. At Beck Consulting, we further enhance Microsoft’s new and improved ERP software and optimize it for the food industry. You’ll gain food-centric functionality, accuracy, and automation. And, we work with the world’s best Microsoft Dynamics developers to keep our enhancements cutting-edge. Here’s how our integrated, enhanced Microsoft Dynamics 365 Business Central ERP solutions help our clients in the food industry: User-Friendliness and Accessibility—Easily access everything you need to know. Crucial information is presented front and center, saving you (and the rest of your company) time and energy every time you open the ERP system. Flexibility, Scalability, and Future-Proofing—Businesses are ever-changing, so your most crucial software systems need to reflect that. As your company grows, bcFood can adapt by developing new functions that meet your changing needs. Reliability and Accuracy—Get data in real time, and never make assumptions again. All transactions are recorded instantly, so you’ll have constant access to accurate information about your business. Millions of people daily depend on the robust and reliable Microsoft Dynamics 365 software, which is what bcFood is built upon. Improved Collaboration—Whenever any user enters information into bcFood’s database, all stakeholders can view this information, allowing them to perform tasks and make decisions from the data with ease. Industry-Specific Features and Enhancements—We’ve worked hard to build all the food-specific features you need, meeting industry requirements for processing, manufacturing, and distributing. These features are focused on safety, efficiency, and data integrity for food companies. Great Training and Support—As part of our implementation process, we dedicate extra time to showing users how to get the most out of their new software solution. Your employees will be empowered and confident, able to help your business succeed with the help of Beck Consulting’s ERP software. The Reports of Microsoft Dynamics NAV’s Death Are Greatly Exaggerated Recently, one of our longtime customers forwarded us the following e-mail. He received this from a partner that sells an ERP product (which will go unnamed) that competes for the same market space as Microsoft Dynamics 365 Business Central: “Correct me if I am wrong, but is your finance team currently using Microsoft Dynamics NAV? MS Dynamics NAV 2018 is the final release of that product, meaning customers who now must decide whether to upgrade or wait for the replacement Business Central to be released and implemented. As a result it’s a great time to evaluate other cloud based ERP solutions. Many companies have been making the switch to _____ so they can better manage their business and lower their total cost of ownership.” While it was interesting to see how other organizations are using fear and uncertainty as a marketing tool, rather than focus on the benefits of their own product and their own happy customers, we do feel compelled to address such doubts. Let’s re-visit this marketing e-mail and refute each point: “Dynamics NAV 2018 is the final release of that product, meaning customers who now must decide whether to upgrade or wait for the replacement Business Central to be released and implemented.” This is incorrect. Business Central is the same product and platform as NAV; it is just another version with a name change. “Dynamics NAV” itself is not the original name of the product. The software began its life as “Navision,” and was re-branded to “Dynamics NAV” in 2005, shortly after it was acquired by Microsoft. This latest “Business Central” naming is the exact same type of re-branding initiative, nothing more. While there are parts of Business Central that are different than NAV 2018, these changes represent the normal improvements and enhancements that are made with every release of a product, rather than the introduction of something entirely new. For example, Business Central’s Web Client is now the preferred user interface (although it should be noted that the RoleTailored Client is still available in Business Central, and it looks pretty much the same as the NAV 2018 RoleTailored Client). But this would be just as true if Microsoft had decided to call the product “NAV 2019.” “As a result it’s a great time to evaluate other cloud based ERP solutions. Many companies have been making the switch to _____ so they can better manage their business and lower their total cost of ownership.” Existing NAV users already have a standard upgrade path to Business Central, and their licensing investment remains protected. NAV has always been a stronger and more feature-rich ERP solution than its competitors, and this will continue with Business Central. This latest release, for example, gives us a solution that fully supports SaaS licensing and is 100% cloud-ready, illustrating Microsoft’s commitment to keeping the product current with the latest technologies and business standards. Not only would making a change from a NAV solution to another product be (in our opinion) a downgrade in terms of features and functionality, but it would certainly be more expensive, since it would require re-implementation costs and new software license fees. Conversely, upgrading from NAV to Business Central would have minimal implementation costs and allows for the use of existing licenses. In short, existing Dynamics NAV users have nothing to worry about when it comes to Business Central. The product is not being eliminated or ungraciously entered into the maintenance phase of its lifecycle. To the contrary, new and exciting improvements will continue to be introduced for years to come, regardless of whatever name Microsoft uses for marketing purposes. If the content of the original e-mail is any indication, the only area in which Business Central’s competitors possess a significant advantage is when it comes to creating confusion and uncertainty. The FSIS Requests Approval to Changes Surrounding Voluntary Recall Paperwork In an effort to reduce paperwork, the FSIS has also announced its intent to change the information collection involved in voluntary recalls of meat, poultry, and egg products, specifically as it pertains to its recall effectiveness checks. The currently approved information collection is set to expire on September 30, 2018 if not changed or renewed. 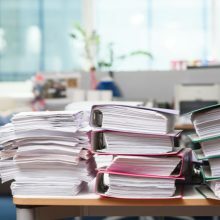 In accordance with the Paperwork Reduction Act of 1995 and the Office of Management and Budget regulations, the FSIS estimates these new changes will reduce the paperwork burden on respondents by 2,000 hours. As the government body which verifies that meat, poultry, and egg products are safe for public consumption, the FSIS is responsible for making sure that these items are wholesome, unadulterated, and properly packaged and labeled. If a producer fails in one of these arenas and distributes a product that may be harmful to the public, the FSIS will then request that the producer recall its product. In addition, the FSIS asks that the producer provide them with basic information such as the identity of the product, the reason for recall, and distributor, retail, and shipping information. During a recall, the FSIS will also conduct “recall effectiveness checks” by contacting the retail and consumer level businesses that may have sold the recalled product (if the product has made it this far). The purpose of this communication and resulting paperwork is to ensure that businesses have received notice of the recall, to verify how much of the product they have received, and to confirm they have removed it from their shelves. It is this paperwork that the FSIS wishes to change. Armed with updated information on their recall effectiveness checks (obtained by an information collection assessment), the FSIS estimates that the total paperwork burden on those importers, distributors, and other consumer-level retailers who receive a recalled product is about 1.08 hours per respondent each year. There are an estimated 6,090 respondents, resulting in a total of up to 6,600 hours annually. The FSIS believes its proposed changes will significantly reduce this burden. The details of the information collection assessment are available upon request from FSIS offices, and they are currently accepting feedback to determine if the proposed changes will allow recall effectiveness checks to be performed in the most efficient, accurate, and least burdensome manner possible. The FSIS will also be accepting comments on whether automated, electronic, or other technological collection techniques or information technology would be helpful in minimizing the burden for respondents. If you are a food processor, manufacturer, or distributor and looking for ways to ease the paperwork burdens of your business, take a look at our software solutions that are specially designed for the food industry or contact us today to learn more. SAP Anywhere is Shutting Down for Good SAP recently announced that it will be shutting down its cloud-based software suite known as SAP Anywhere. This “front office solution” for small and medium-sized businesses offered clients a bundle of CRM, inventory management, ordering, and customer service tools. SAP Anywhere competed with companies like Salesforce and Netsuite. And it now seems they’ve admitted defeat. German-owned SAP is well known for its presence in the market of big business software solutions. SAP Anywhere was the company’s attempt to dip its toe into the market of smaller businesses worldwide with a user-friendly “all in one service.” Many sources, however, say they saw the writing on the wall long before this “sunset” announcement. In 2017, SAP Anywhere began to turn away new customers in the European market with the explanation that they were trying to focus solely on US and Chinese clients. Users of the “complete front-office software package” said SAP Anywhere fell short simply because the company didn’t understand its customers. Reportedly, SAP support was slow to respond to client requests and the web portal was difficult for non-technical customers (which make up a large portion of the small business market) to use. In short, SAP Anywhere wasn’t a good fit for businesses without a dedicated IT staff. At the end of March and beginning of April, SAP sent out letters to all of its SAP Anywhere customers informing them that their services will be terminated 30 days after receipt of the notice. They will offer refunds for the remaining subscription terms so long as those customers agree to waive any claims against SAP. SAP made the following statement regarding its decision to shut down the software’s services: “… From time to time, we evaluate our current solution portfolio and make changes based on our overall cloud ERP strategy. As such, we have decided to sunset the SAP Anywhere solution. We will be working closely with our customers to help them transition off the product and to find a new SAP solution that best fits their needs.” Despite marketing internationally, it’s estimated that SAP Anywhere had only around 60 customers, half of them thought to be inactive. Once the software suite is shut down, the company doesn’t have many suitable offerings for these customers to jump to, so they’ll likely have to download their data and make the switch to a different company’s software. Thankfully for small and medium-sized businesses who are now in need of a cloud-based, all-in-one software solution, SAP’s exit from this particular market nearly coincides with the release of Microsoft Dynamics 365 Business Central. What this means to these companies is that another big (and experienced) player is making it presence felt in this space. Microsoft Announces Dynamics 365 Business Central After a long wait, Microsoft has finally announced the newest version of Dynamics 365. Read the article we published on LinkedIn to find out what to expect from this new cloud-based software in terms of functionality, pricing, and what it means for current users of Microsoft Dynamics NAV. Microsoft Dynamics NAV 2018 Has Been Released As of last Friday, December 1, Dynamics NAV 2018 has been made available for download. The latest version of Dynamics NAV is currently offered in a base worldwide release, as well as localizations for 22 different countries. It can be downloaded here (note that a PartnerSource login is required). NAV 2018 contains a number of application improvements, including: Expanded workspace personalization options. Printing and previews reports directly within NAV. Pre-loaded Excel templates for standard financial statements such as balance sheets, income statements, cash flow statements, and aged accounts payable/receivable. User task creation and assignment. Enhanced Power BI reporting controls. Posting setup improvements. 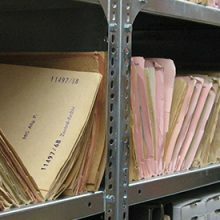 Bulk posting of documents such as orders, invoices, and credit memos. Integration API. 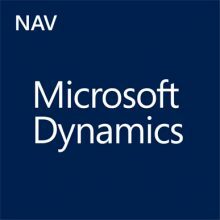 For an extensive listing of the new features in NAV 2018, as well as links to other helpful resources, please visit https://community.dynamics.com/nav/b/dynamics365nav/archive/2017/09/17/what-is-new-in-microsoft-dynamics-nav. Blockchain – an Introduction It doesn’t take more than a casual review of the latest technology news to encounter some sort of reference to blockchain. Called “the first native digital medium for peer to peer value exchange,” blockchain is most widely known as the technology behind the bitcoin, but it carries the potential to completely change the way transactions are performed across a variety of fields and industries around the world. We at Beck Consulting recognize the potential impact of blockchain upon our clients, be they food organizations working with our vertical bcFood solution, or general Microsoft Dynamics NAV users employing one or more of our ISV offerings. If blockchain is new to you, read on as we explain the importance of this new technology, and what it could mean for your organization. What is blockchain? Simple descriptions of blockchain typically involve phrases such as “a decentralized, public database,” which does a good job of adequately summing it up, but requires a bit more explanation. At its foundation, blockchain is a peer-to-peer network to which a transaction, “or block,” is broadcast. All members of the network must then approve the transaction as valid, at which point it is added to a “chain,” that is, a record of all transactions. 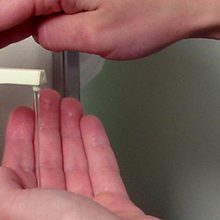 Once a block is added to the chain, it is permanent and cannot be modified or removed. In this way, there is an enduring record of every transaction that is submitted through the network. And because this activity occurs through a peer-to-peer network, rather than a centralized location, these permanent records are public in nature. What are the benefits of blockchain? To ensure the integrity of the data they contain, blockchain networks are heavily encrypted, and the technology’s fundamental design makes it inherently secure; because the chain exists throughout the network, there is not a centralized point of entry for hackers or data manipulation, significantly reducing the chance for fraud. Blockchain also carries with it the potential to streamline transactions by effectively eliminating the need for middle parties. 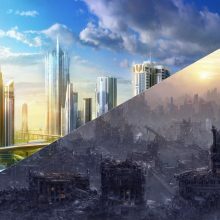 Throughout history, people have turned to established “trust foundations” such as banks, other financial institutions, and governments to assist in the completion of transactions and activities. Blockchain, with its requirement that every transaction be approved by all members of the network, is essentially built upon a foundation of trust, eliminating the need to involve a third party in the processing of transactions. Where can blockchain be used? Blockchain first gained prominence as the platform that allowed the bitcoin to become a viable form of currency, and to date its biggest influence has been on the financial sector. However, its decentralized design and recording of unalterable, public data brings with it the potential to be beneficial in other fields. Blockchain is still a relatively new technology, and at this point there is no concrete idea of its potential or limitations. Companies such as IBM and Microsoft are in the process of researching and working with blockchain to get an idea of its capabilities, and it is estimated that banks will invest $400 million in the technology by 2019. Governments are also looking at ways to leverage the technology, as illustrated by the state of Delaware’s Delaware Blockchain Initiative, which promotes the use of blockchain as a means to efficiently govern and manage the more than 300,000 companies that are incorporated within the state. How does blockchain impact the food industry? One area in which there is a great deal of excitement over blockchain’s potential impact is that of supply chain operations. It is easy to see how the processing of transactions through a trusted network would help to alleviate the uncertainties and complexities of any supply chain scenario, but the strengths of blockchain lend themselves especially well to food distribution, a tightly-regulated field where full traceability and transparency are of the utmost importance. The potential role of blockchain in the food space is not mere speculation; Walmart has partnered with IBM and Tsinghua University of Beijing in a serious pursuit of this technology to facilitate food tracking throughout its supply chain. 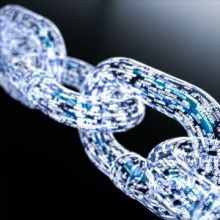 As part of a presentation during an investor event last June, the retail leader indicated that its current experimentation with blockchain has reduced “farm to fork” tracking times from days to minutes or even seconds, facilitated more efficient response times in the case of a recall, and produced “very encouraging” results overall. In an article first published by CNBC, Jason Kelley, IBM’s global manager for blockchain services, described the potential of blockchain in supply chain environments: “It allows people to exchange value without knowing the identity of each other necessarily, in a secure way on the back end…On the front end, it’s simplicity, transparency and trust. Think of all the cost, time and often waste that happens in the exchange of value — blockchain rids that from the system.” Is blockchain available to Dynamics users? Like many other high-profile organizations in the tech field, Microsoft acknowledges blockchain’s potential and wants to establish a presence in this growing technology. Although blockchain has many benefits, Microsoft is somewhat wary about the wholesale implementation of standard protocols in the enterprise space. For example, while maximum transparency may be a benefit in purely public environments, there is a need for some level of confidentiality in an enterprise setting. To that end, the company recently launched the Coco Framework. An open-source system designed to facilitate the adoption of blockchain, the Coco Framework seeks to promote the high level of security and decentralization for which the technology is known within a confidential network structure. Conclusion Blockchain is still in its infancy, and it is easy to dismiss it as another “up and coming” unproven technology that will end up going nowhere. But when we consider the inherent strengths of blockchain, along with its adoption by established industry players such as Microsoft, IBM, and Walmart, it appears increasingly likely that this is one technology that will continue to grow and shape the way in which business is transacted. It will be interesting to keep an eye on blockchain, and see the direction it ultimately takes in the near future. Dynamics NAV Extensions: a Brave New World, or the Beginning of the End? Dynamics NAV Extensions: a Brave New World, or the Beginning of the End? Introduced in Microsoft Dynamics NAV 2016, the extensions framework allows for the development of customizations and add-ons that do not involve modification to the standard Dynamics NAV code. This carries with it the potential to complete re-write the way in which organizations approach NAV development in the years to come. Whether or not this is a good thing is up for debate, and a recently published article at MSDynamicsWorld lays out both sides of the extensions argument. Proponents of extensions argue that, by no longer hooking into standard Dynamics NAV code, extensions will be by necessity written in a manner that promotes quick and easy deployment and upgradeability. Developing solutions to meet the criteria established by extensions will result in standardized offerings that are more cost effective and customer-friendly. 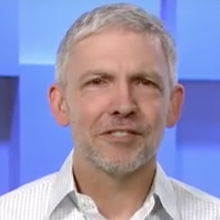 On the other side of the debate, critics respond that while extensions may be realistic for smaller, standalone add-ons, larger and more complex software offerings will require some level of integration into the standard code. While standardized options are appropriate for some audiences, they argue, there will still be many users that require more customized solutions. To read the full article, click here (requires a free MSDynamicsWorld membership). What do you think: will extensions usher in a great new chapter in NAV development, or do they represent a turn for the worse?